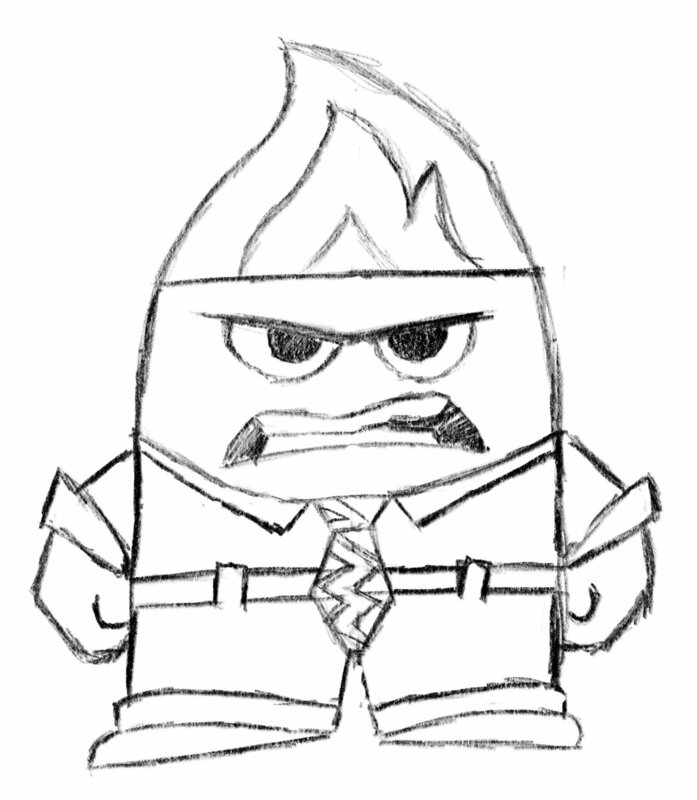 Anger is one of my all-time favorite characters, so it was always enjoyable to work on this sketch. I really tried to push for better lines, and lack of outlines, in this drawing as much as possible to bring more professionalism to it. The main trick to capturing Anger, I think, are they eyebrows and the eyes...and to some extent the mouth. The eyebrows capture the “degree” of Anger he’s feeling, and that red in his eyes tells you just how fiery he is. His mouth is useful for adding a little comedic flair to his otherwise angry outbursts - a little bit of flair in the upper lip throws a little cartoon humor in the mix. I plan to revisit Anger soon, probably in the form of some animation. I spent a good bit of time setting him up so I could modify him frame by frame and maybe make his hair move and his eyes shift. 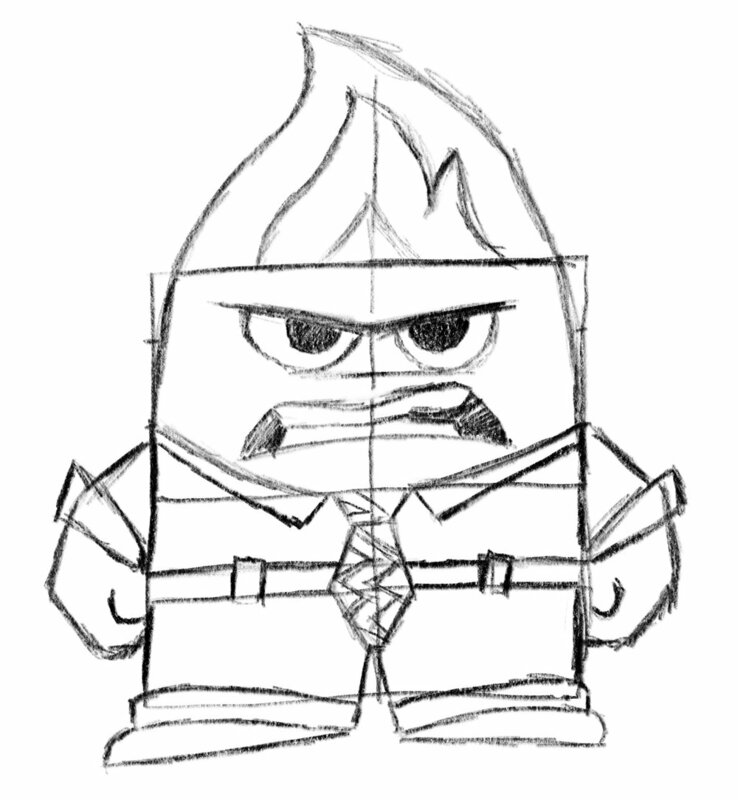 The original outline and sketch for the character. Anger is very boxy at first! The cleaned up sketch. Added and cleaned up some additional details from the rough sketch. The inked outline. Most details have been cleaned up, but minor alignments will be fixed with the final colorized version. The finished version! Interestingly, the tie was one of the more complicated pieces of the character - the pattern is originally made a little bit messy, but if you get too messy it just looks bad. 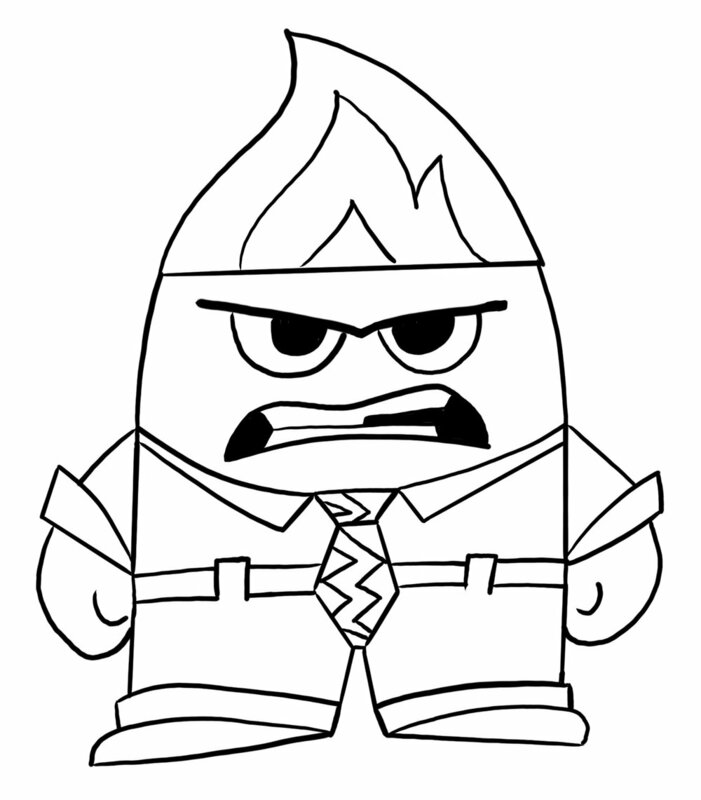 In particular, I’m pleased with how the character lacks many outlines - the shirt has a darker shade to separate him from a white background, but everywhere else, outlining is only used to accentuate details, like the cuffs on his pants.